Adams Golf makes the Tight Lies for golfers looking for a club that can get them out of different situations. It is a very versatile hybrid that makes use of some modern designs and technologies. Some of its most impressive features include the Ghost Slot Tech, Tri-Sole Design, and the Low Profile-Upside Down Design. Adams Golf makes the Tight Lies for golfers looking for a club that can get them out of different situations. It is a very versatile hybrid that makes use of some modern designs and technologies. Some of its most impressive features include the Ghost Slot Tech, Tri-Sole Design, and the Low Profile-Upside Down Design. 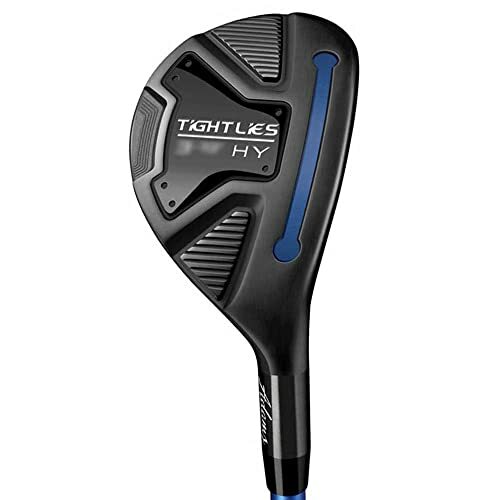 And like most other top hybrids it comes with a graphite shaft that is available in three main flex options (regular, stiff, and senior). Adams Golf also gives this club a confidence-boosting black finish with some simple graphics. Ghost Slot Tech: This technology helps to hide the slot on the crown while still maintaining high ball speeds and increasing the forgiveness. Tri-Sole Design: The Tri-level sole design will reduce the interaction between the club and turf to improve the performance from any lie. Low Profile/Upside Down Design: This head design gives the hybrid a large impact area and hence minimizing the likelihood of mis-hits. Also, the low profile and upside down design combine with the tri-sole design to make this a very versatile hybrid. Shaft: Like most other hybrid golf clubs the Tight Lie comes with a graphite shaft. This shaft is available in senior, regular and stiff flexes to cater for different handicaps. Feel: Tight Lies feels quite substantial for its size. This dense club will generate a tight and tidy sense of compression when it makes contact with the ball. Also, it feels quite balanced and hence easy to swing and can withstand very tough conditions. Look: This hybrid has a compact and minimalistic look with a clean black face. It hides the technology under the Ghost Slot, and it looks like it can dig the ball out of anything. 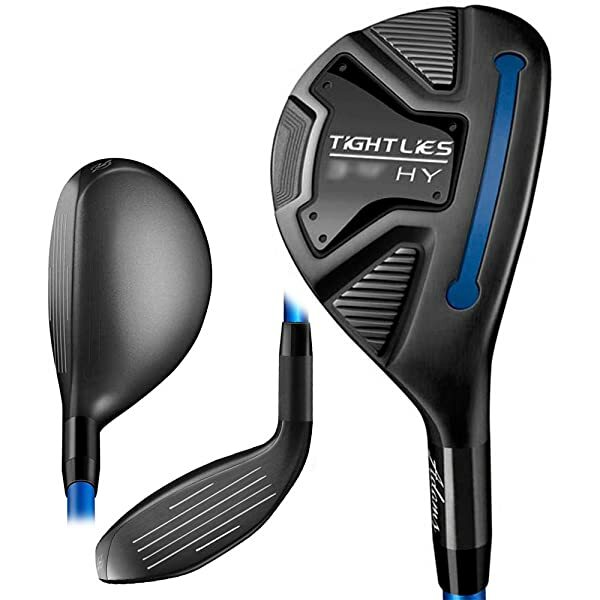 It is a smooth and easy to hit golf hybrid. Tri-sole and upside down design combine to get balls airborne quickly from all lies. It has a 'flexible face' for fast ball speeds and accuracy. This hybrid is very forgiving on mis-hits. It is a versatile club that you can even use off the tee. Adams also provides a head cover for the hybrid. The price is just perfect, and it will give you an unbelievable value. The black face and finishing will scuff up a bit after a few months. It will take several trips to the course to get used to this hybrid. A few golfers will find the graphics too plain and dull. The versatility of the Adams Tight Lies makes it one of the best performing hybrids on the market. It is one of those clubs that you can always rely on to rescue you from both good and bad lies. 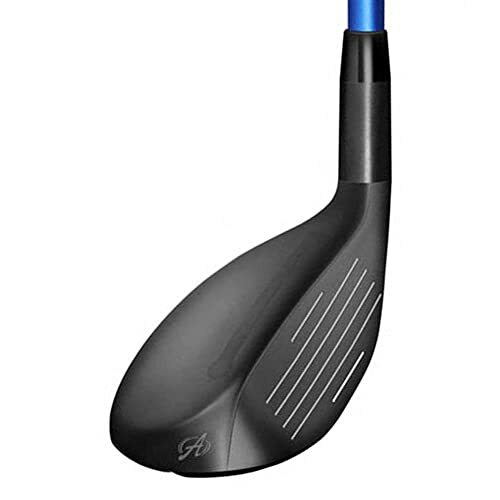 Overall, it is also a high-quality club with a modern head design that makes use of various technologies, it is long enough, and the manufacturer only uses the best quality materials. It also offers you three different flex options hence making it ideal for all handicaps. And the price will give you good value for your cash. Even with the few shortcomings like the dull graphics, it is still worth having in your golf club set.